"Wow...nice job guys. We have both had wallets for ever ...but not this nice. Let's do it again this coming November...just in time for Christmas!" 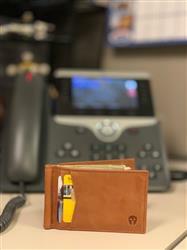 "I have used this style wallet for a long time. This wallet is far superior in quality. The money clip is thicker metal and the leather is high quality. I recommend this wallet 110%"
"The overall shopping experience was wonderful. Customer service was able to get back to me right away. The added bonus was not only knowing the company was employing veterans but also helping them. The added bonus was the discount. 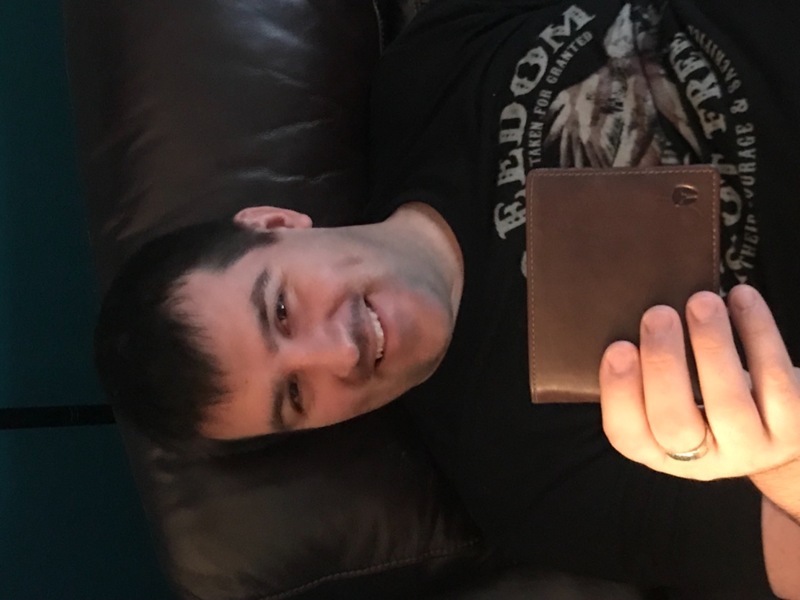 My husband loves his new wallet. It’s beautifully crafted and exactly what he wanted. I will definitely be shopping with Bryker Hyde again. Thank you!" 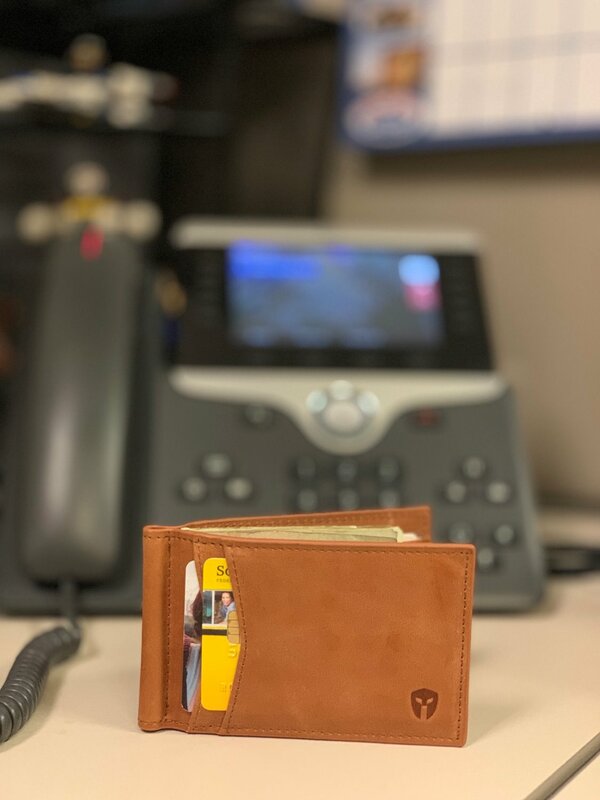 "I ordered the Quick Draw Bifold with Zipper in Distressed Brown and could tell immediately it was a great quality wallet. I carry it in my front pocket without any issues. I showed it to my coworkers and they wanted the website so they could order one. I love that it’s made in USA, lifetime warranty, they support our veterans and the wallet is made of full leather. If ever needed I would order another wallet from them. Thanks for making a great wallet at a great price." "Thus far seems to be a great value "
"Super packaging, lightning fast delivery, great quality, great service and simply put one of the best wallets I have owned. I have had it just under 2 weeks and love how small it is, yet holds so much. Highly recommended! " "High quality product , excellent service , and supports veterans. Made a perfect Christmas gift !" "This was a Christmas gift for my son --- it was on his list of suggested item. He is he is very particular about everything and he had researched other wallets and this is the one he chose. It was obvious he was pleased when he opened his package and fund the wallet inside. There is no doubt he will enjoy using it. Your service was so prompt --- the wallet arrived the next day after I placed the on-line order. Thank you for refunding the shipping charge as requested since it was my first order. Happy New Year to All! 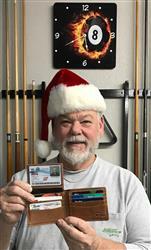 Smiles, Vernice Allen"
"I was looking to cut my old tri-fold down to size & this little guy was just the ticket. Everything from my old wallet fit in a much more compact form size. This is a high quality product that delivers what was promised. BTW, this also comes in very elegant packaging — overkill for what I wanted, but would make quite a statement/impression if you’re giving this as a gift. Anyway, I’m a happy customer. " "Excellent construction and comfortable in my front pocket. Very happy with my purchase." 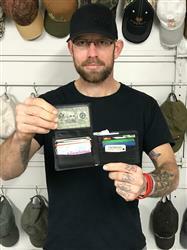 "I’ve been searching for the perfect wallet, regardless of cost, and this is it!! Period, end of story. Well done, DONT CHANGE A THING (including the reasonable price). Also, happy to support a Texas company!" "Best wallet I have owned. For the price, you won’t find anything better. It has just enough slots for my everyday life. My pockets feel lighter. It feels good to hold too. The RFID really works. If you keep your work badges in your wallet, be prepared to take them out when you scan the card reader. The money clip is also handy for when you need to carry cash. Personally I don’t like using it because it makes the wallet look messy. It’s not the fault of the wallet. I don’t like money clips in general. However it is nice that I have the option." "Got my new wallet a couple of weeks ago and I love it. I may order another color. " "Best Wallet I’ve ever owned. Superior quality!!" "Received my new wallet the other day. I got the distressed brown color, which looks and feels amazing. Matter of fact was out with a friend of mine and took it out to pay the lunch bill and my friend asked to see it, she was amazed at the design with the cards being held outside in there individual sleeves and she said it looked professional with the nice brown color and money clip. I recommended it to her as a gift to get someone for Xmas. I may order another in slate grey so I have another when this one gets used, and the grey looks great and is a unique color. Thanks Bryker Hyde for making a quality, professional looking and easy to use minimalist wallet." 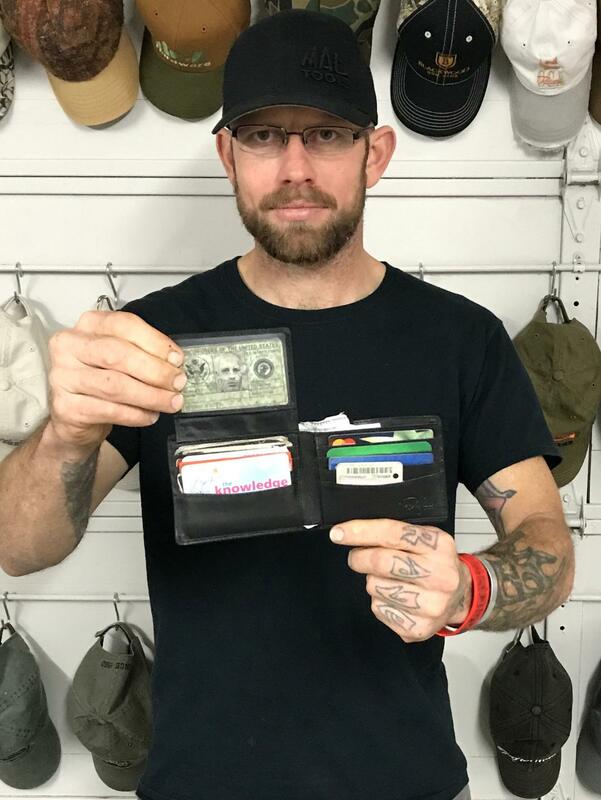 "Ive owned and tried many minimalist front pocket wallet but this one is by far the best wallet that combines all the features I am looking for. From the card slots on the outside to the ID window on the inside I love this wallet." "Cheesey company propogandy but nice wallet so far. Hopefully they'll be in biz to honor lifetime warranty 😆"
"Love this wallet enough to have ordered one in a different color!" "Love my new and stylish wallet"
"My second wallet, first was a front pocket wallet. Always quality construction, keep up the good work"
"Love x's 4 my new front pocket wallet. Searched the net high & low for the perfect front pocket wallet, finally came across these! Many different color options, styles and sizes. I picked the 1 that was perfect according to my needs & tastes! Couldn't be happier with my purchase! Price point is great! Liked mine so much, went on and ordered my dad 1 even before I received mine! He loves his also! 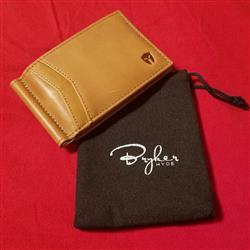 Will be referring all my friends and family that want to carry less in their wallets to bryker hyde!" "Wallet is great. It’s not the slimmest however it’s slim for how much you can hold inside. The money clip is nice addition. I gave it a five star because it’s great. My only gripe is the ID section with plastic is a work out to get the ID in and out so I placed my CWP there and my actually drivers license else where. The reason is most places where i live when they want to see Id they require it to be outside of the transparent area. Other than that highly recommend! " "I have had wallets for over 45 years. This is by far the most comfortable and high quality wallet I have owned. The minimalist wallet with its nfid/nfc blocking is a must in today’s world and I can feel confident with it’s optimum-security range. I ordered the gray and am well pleased with your product. Keep up the great work with your quality and designs. Fantastic product, highly recommend this one for front or back pocket." "I say this simply because I move been carrying my old fat wallet for years. I couldn’t drive with it in my pocket nor could I eat at a restaurant with it in my pocket. It was even tough getting it out of my back pockets. It was truly a burden haha The Bryker Hyde wallet has solved all of these issues. It is sleek & allows easy access to all compartments. Great product!" "This wallet is the perfect size and the style is great! Two of my co-workers really love it too so they’re going to be getting one too! Plus, every purchase goes towards helping veterans which I fully support. I’ll continue spreading the Bryker Hyde brand. " "It’s sleek and light , exactly what I paid for "
"Great - everything was great." "Holds everything my old wallet held. Nice quality." 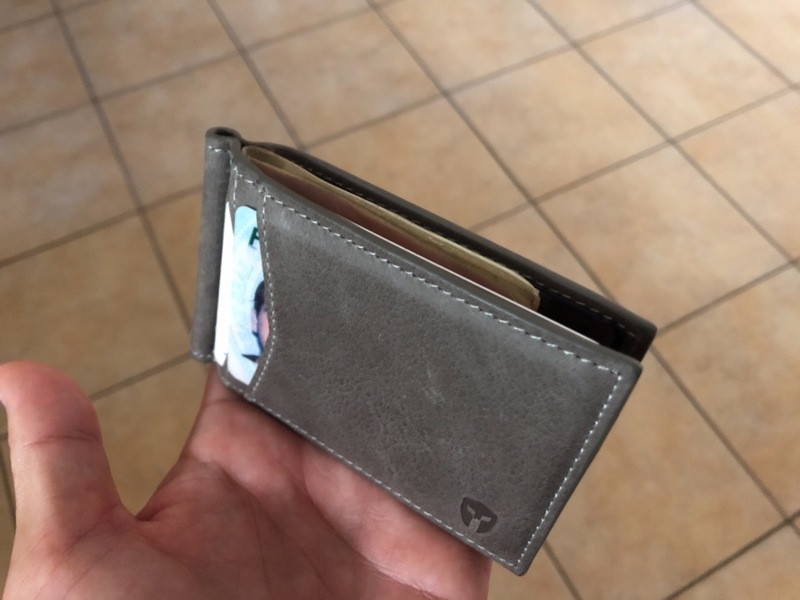 "Only a few days in... but this wallet looks great and feels like quality leather. It has all the features I have been looking for. Money clip, ID window and a few slots for the couple cards I carry; all in a slim design I can carry in my front pocket. Looking forward to carrying this for a long time. Considering getting another color just to have it since I always have a hard time finding this combination when I go to replace. The only nit-picky thing I can offer is that I wish the material on the ID window was a bit more clear. MINOR! " "High quality, great looking, and extremely functional. Love everything about it "